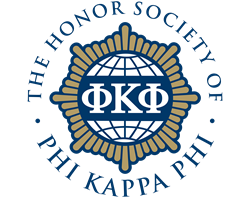 Phi Kappa Phi is accepting applications for its 2018 Dissertation Fellowship Program until November 30. Ten fellowships of $10,000 each will be awarded. “The Phi Kappa Phi Dissertation Fellowship is a prestigious award that I am honored to receive. This fellowship will expand and enrich my opportunities to complete my dissertation research,” said Matthew L. Bush. The deadline to submit an application is November 30, 2017, and recipients will be notified by March 1, 2018. For full eligibility requirements and application instructions, visit http://www.phikappaphi.org/dissertation.